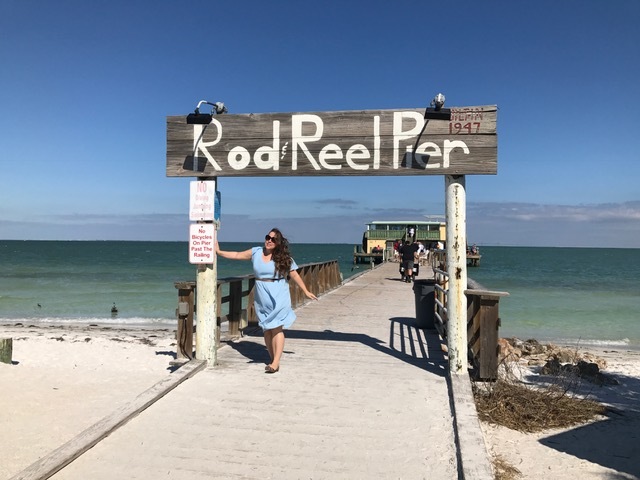 I just came back from my first trip ever to Florida and I LOVED every minute of it! 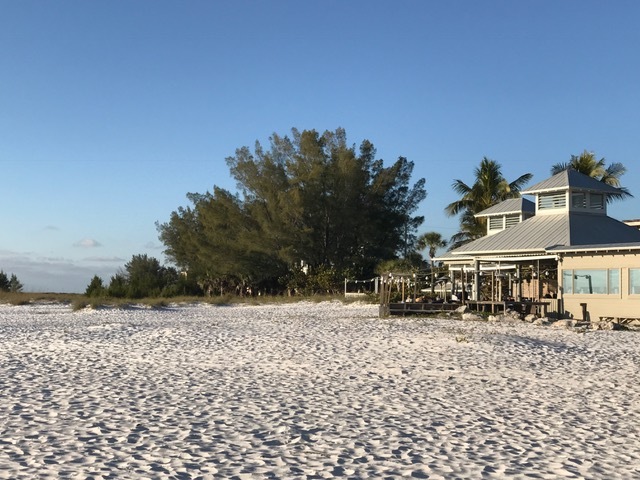 My friend and I stayed a week in a charming house on Anna Maria Island (a short term rental that a friend of mine had booked). We also explored around: breakfast in St-Petersburg, afternoon in Sarasota, and a 2 days trip to Orlando. 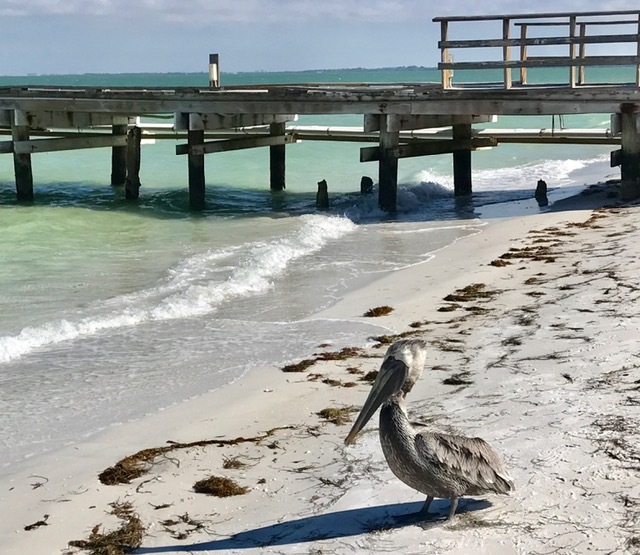 So here’s what we did in Anna Maria Island and around during that wonderful week! 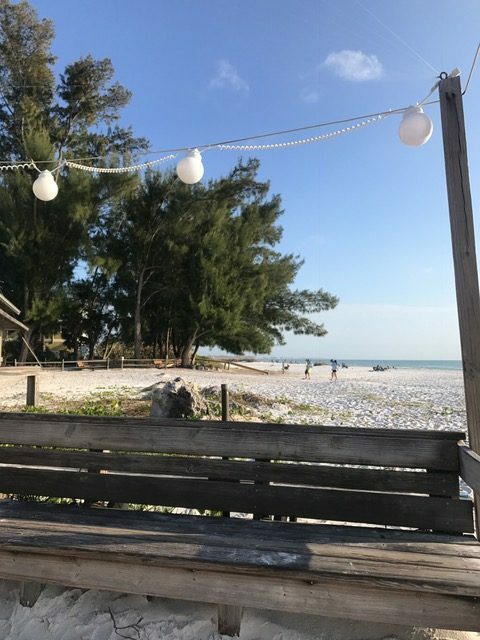 I would say that Anna Maria Island is the perfect place to just relax and take your time. It’s not what I would call a party place, on the contrary, it’s quiet and peaceful and mainly residential. 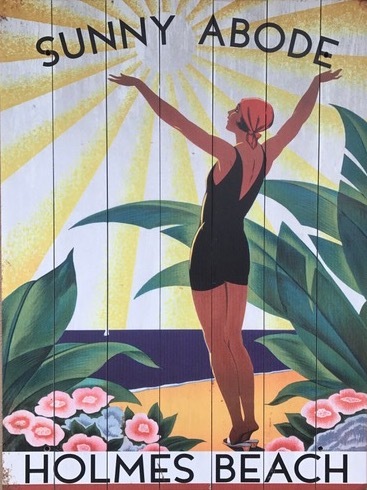 It’s a place to take your time and disconnect from our crazy beat of life. The main activity here is obviously “beaching”! Beaches are all around the thin island. 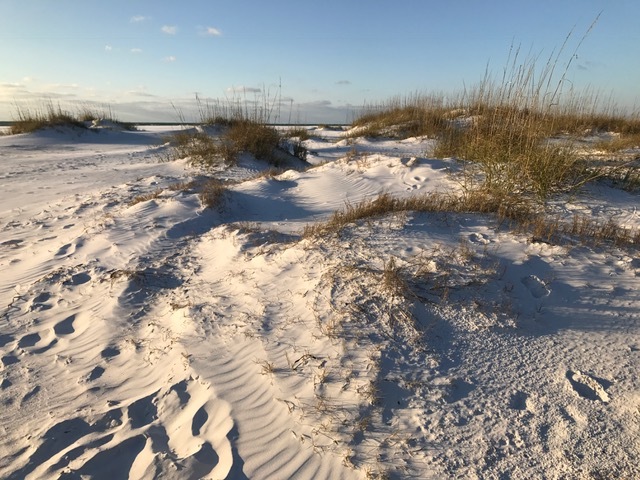 The access is free, the sand is amazing (sometimes almost as white as snow), the water is clear and you can find a lot of seashells everywhere. One that you must see is called Bean Point Beach. It’s the tip of the island and the view is simply amazing! There are at least two places on the island where you can rent bikes (18$ a day or so). 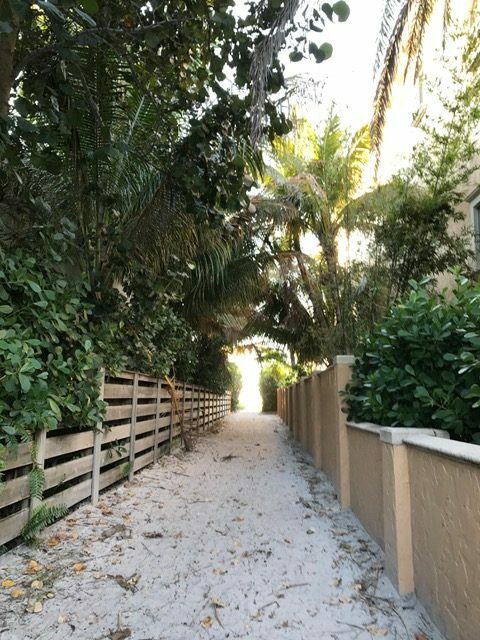 It’s a nice way to discover the island and look at all the pretty houses around! There is a choice of restaurants on the island and we tried a few. Here are some of the places we ate at during our stay and what I recommend trying. This is a place to eat fresh seafood or a very good burger, among other things! 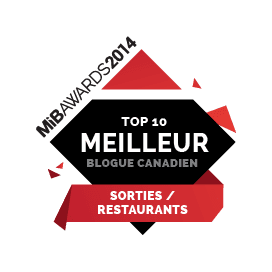 They have a nice terrasse directly on the beach and everyone will recommend you to come here at the end of the day to see the sunset! 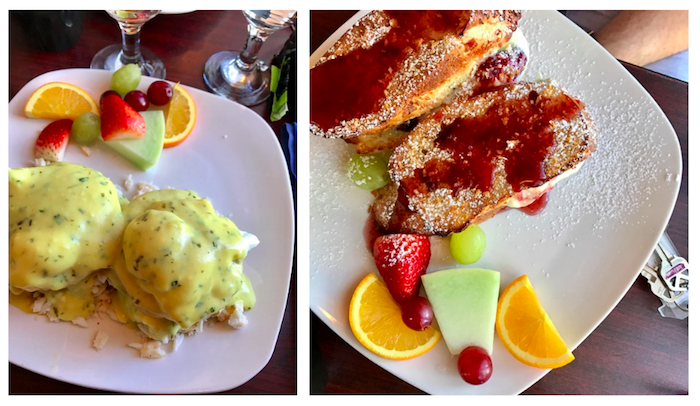 We came here for breakfast and we were not disappointed! I had the blue crab Benedict and it was delicious! My friend had their famous French toast and it was simply decadent! This is a dinner kind of restaurant but you have to try it for the location and the view! It was really windy there both time we tried it, bring a little sweater – you might get cold! We came for lunch to try to Grouper fingers, and that was delicious. 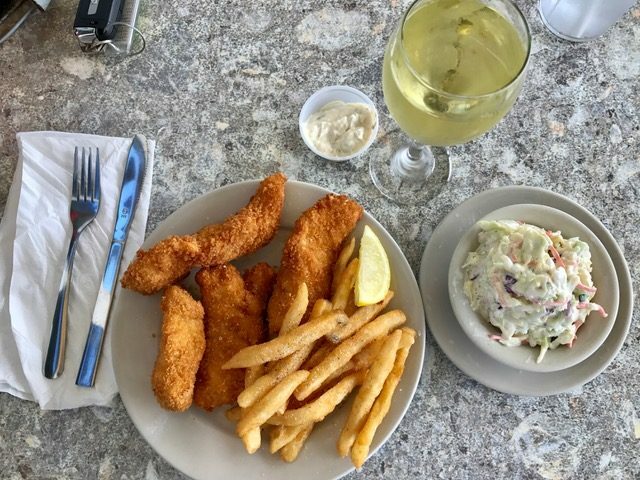 You’ll be served a humongous portion of fried grouper fish, fresh of the day, with delicious french fries and coleslaw! We also tried their breakfast, but we did not like it, it was kind of greasy and nothing special (but hey, if you want a cheap option, that will do it!). Activities on the island being a little limited to beaches related things, if you feel like doing another kind of activity, you might want to drive around. 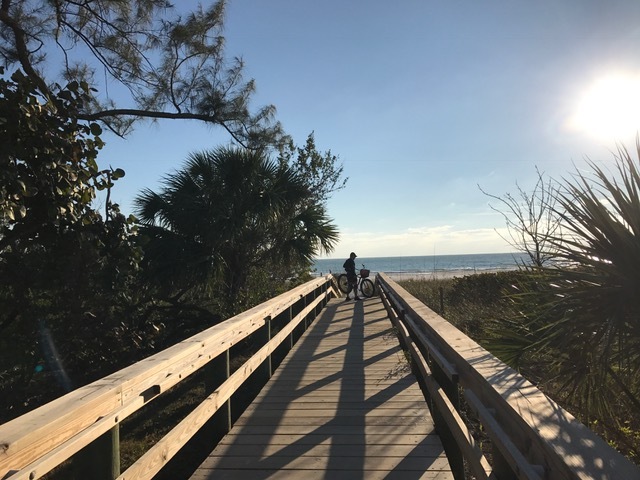 There are plenty of beautiful places to discover, like Sarasota, St-Petersburg and if you are willing to drive further away (about 1h50), there is of course fabulous Orlando! We really wanted to see an aquarium while we were there. I was expecting more and I was a little disappointed, but if you find yourself bored on a gray day and want to see something different, you might enjoy it! 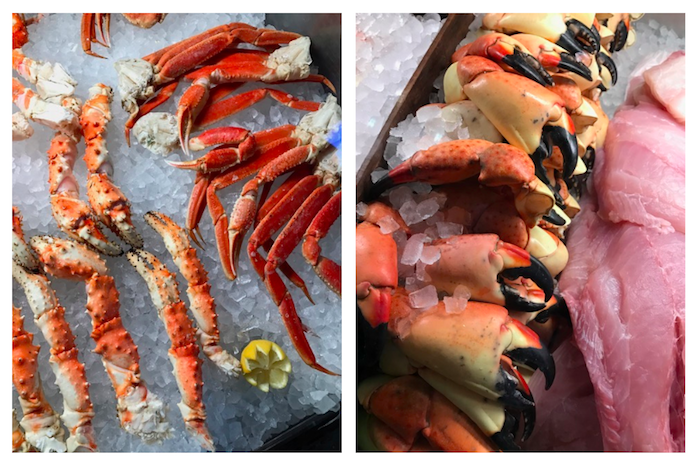 Another place to try in Sarasota is Walt’s Fish Market, which was recommend by some locals as being the best fish and seafood place to eat in town. The restaurant (and fish market) has a tikki vibe to it and we enjoyed our night there with oysters, crab and fresh fish! We had breakfast there and a stroll around its pretty street perfect for shopping, for eating a gelato, grabbing a smoothie, a coffee or a drink. The place is known for its nice weather (its nickname is Sunshine City! ), for beaches, boating, fishing, etc. 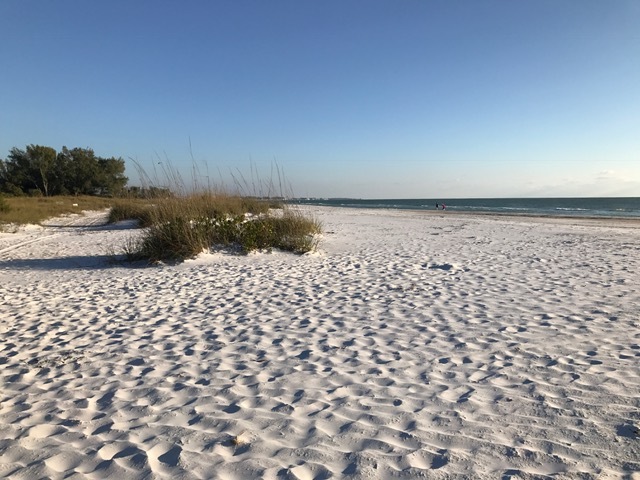 Orlando is about 2 hours driving from Anna Maria Island and its worth every minute of driving! On our first day, we visited Universal Studios, where you get immersed in Harry Potter’s world, Jurassic Park, King Kong’s jungle, and also your favorite superheroes’ worlds, as well as many other themes. The rides can gets pretty scary here! Our favorite of all was the Harry Potter’s Forbidden Journey, it’s an absolute must! 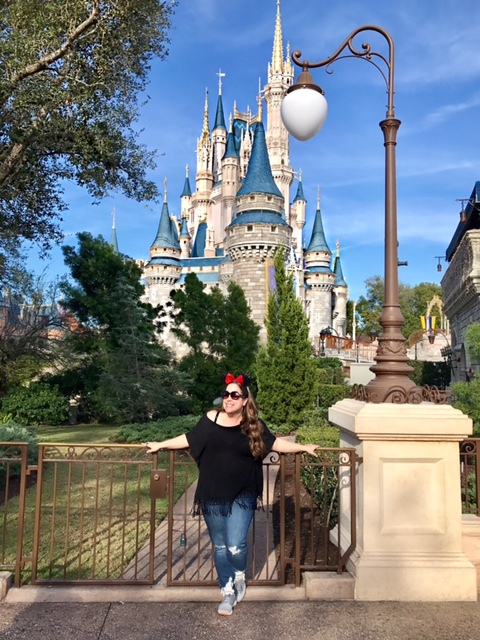 For our trip to Disneyland, we chose the Magic Kingdom park and honestly, it might have been one of the most beautiful day in my life since my wedding! Magic really does happen there! Another item done on my bucket list! I will write an article to tell you more about it (link to come). It was January when we stayed there and it was not so warm; it went down to 15 Celcius (that’s about 59 Fahrenheit) during the day, even less – I saw 8 Celcius one day (that’s about 46 Fahrenheit), but most of the time, it was a beautiful 20 to 24 Celcius and sunny (68 to 75 Fahrenheit). At night, it’s quite fresh outside. The point is: bring a little jacket (a jean jacket or even something a little warmer) and a scarf for those frisky night and sunless days, when it gets colder at that time of the year. 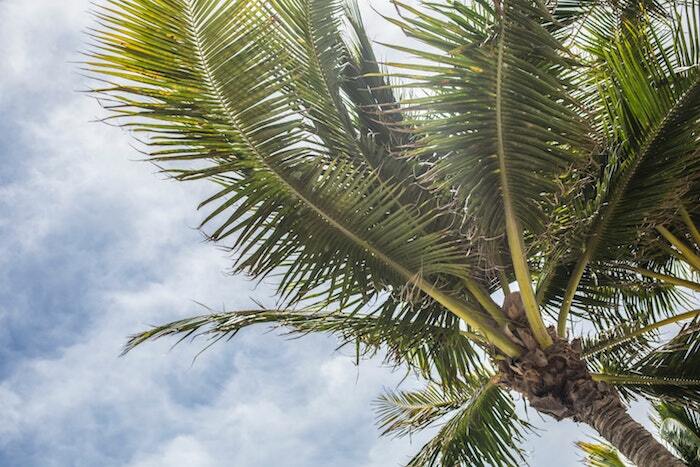 The climate in Florida is normally hot and humid, so sub-tropical in the northern part and central, and tropical in the south. No wonder that the plants were sometimes reminding me of Taiwan! 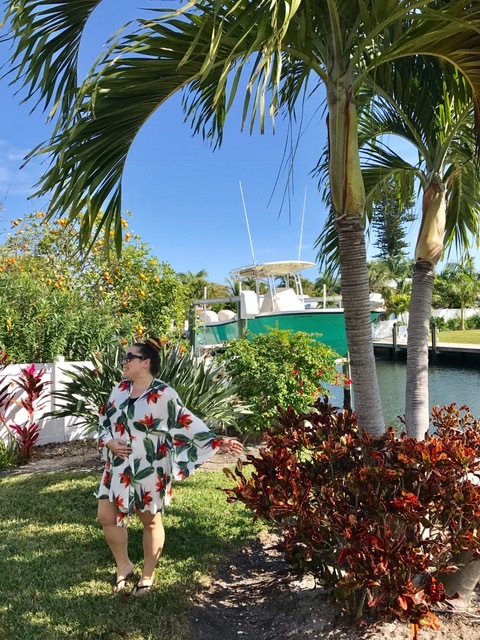 The palm trees, the flowers, the colourful plants – I have rarely seen such a beautiful and luscious nature! There are so many palm trees! 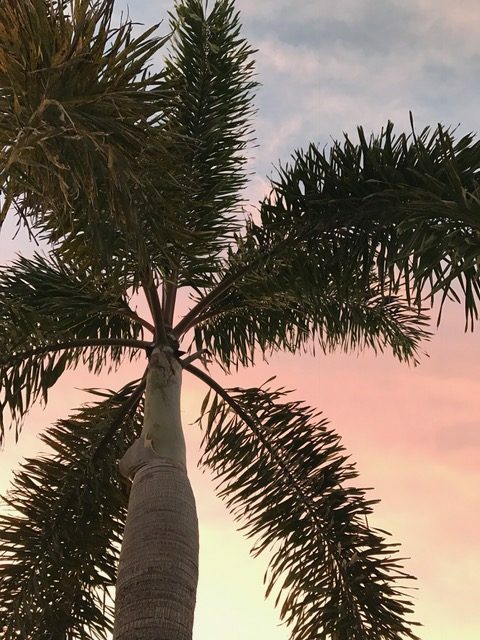 In fact, there are over 2,600 species of palms trees around the world (according to Wikipedia), and almost all of them can be grown in Florida. 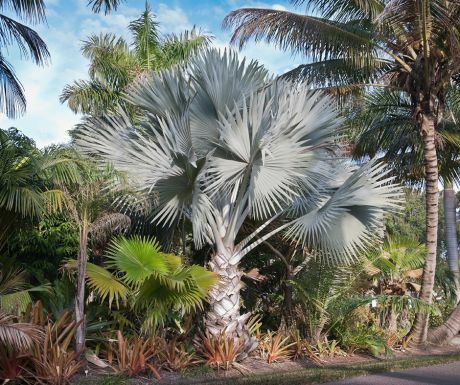 Among my favorite was the Bismarck palm. 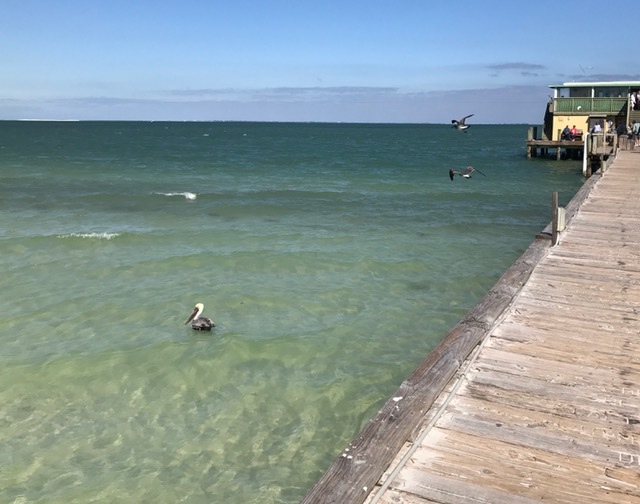 I was really impressed by all the birds I saw during my stay at Anna Maria Island – lot’s of them I had never seen before. 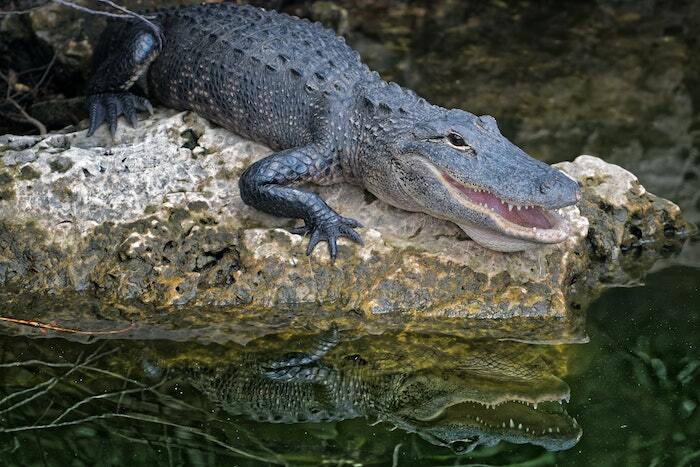 When you know that they are 525 different birds species in Florida, it’s not surprising! There are no pink flamingos here, but there is the Roseate Spoonbill, a funny pink bird that I really enjoyed seeing (I did not get a picture though… sorry!). I really don’t know where this came from (being from Canada where you won’t find them), but I have an almost irrational fear of alligators! 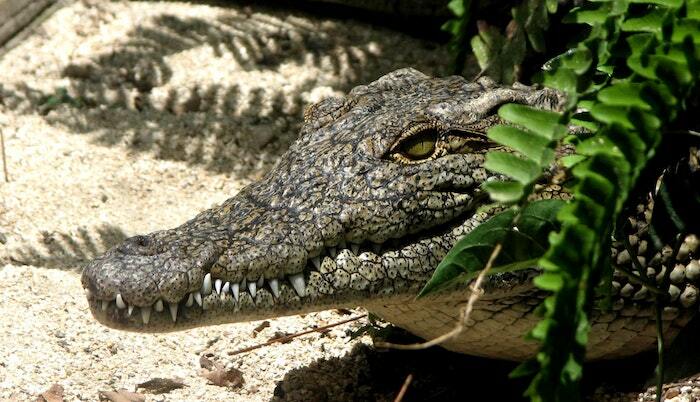 I was on my guard the whole time I was there, and there is no telling how scared I was the first night, when I was sitting in the backyard and heard a loud splash in the canal a few feet away (note: that was most probably a fish jumping out of the water and NOT an alligator!). 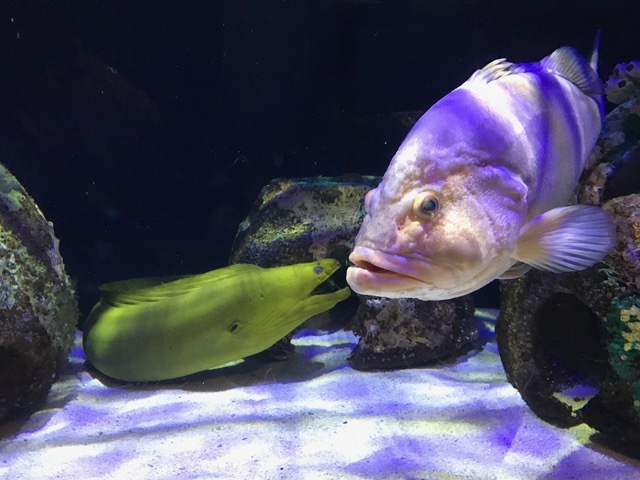 The only 2 ones I saw were at the aquarium and they were quite small. 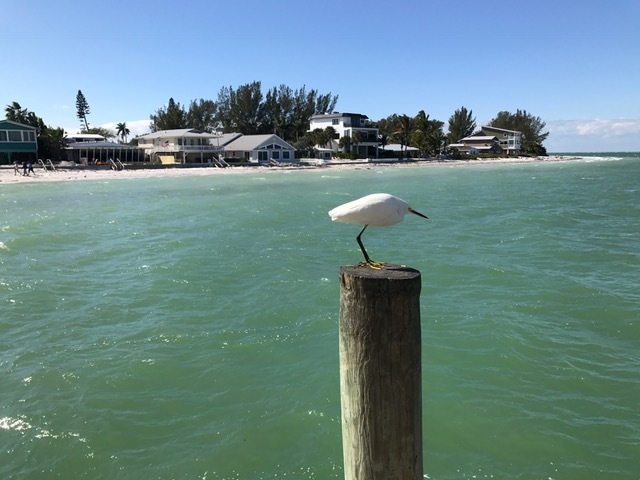 In fact, on Anna Maria Island, they are not present, as they prefer to hang out around fresh water and there is non on the island (note : I read that AFTER my stay!). Well, no need to say I had a wonderful time there and I will go back to Florida anytime! 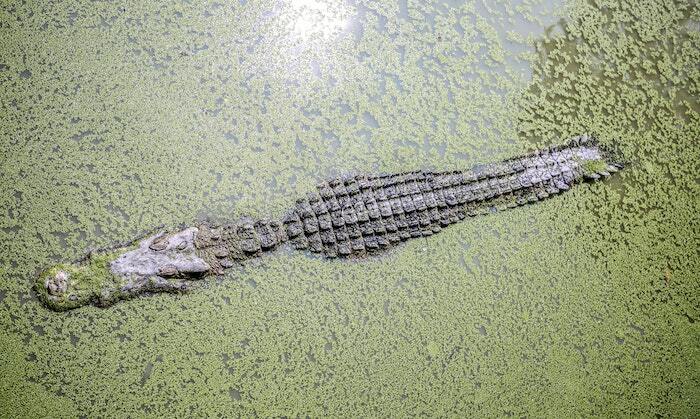 Next time, maybe I’ll plan a visit to the Corkscrew Swamp Sanctuary to see some alligators (in a control environnement, that is)! 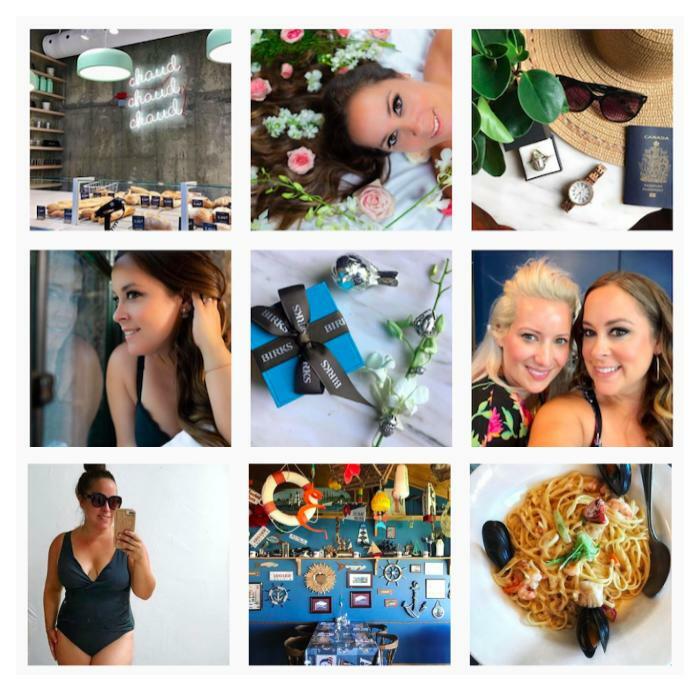 Travel, restaurants, culture, fashion & beauty – I share my findings with you!